News From The Bridge: Halloween Ball with DJ Benny! Looking for a Spootacular time? Well then look no farther than our Halloween Ball! The Zodiac is all decked out by those pesky spiders (still looking for the culpirt) and we are going to have a ball! 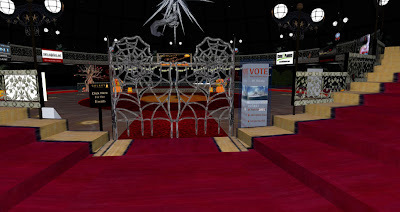 Grab your best halloween garb and come join us 4pm to 6pm SLT in the Zodiac Ballroom (of course).